Our friends at Hexagon Manufacturing recently swung by our headquarters in Piqua, Ohio to take a peek at how we’re using their technology inside our prop shop. 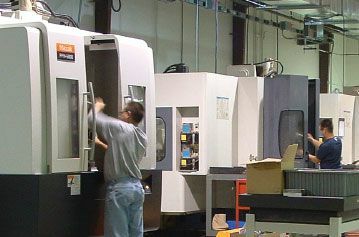 By integrating advanced processes into our everyday operations, we’re able to stick to a “done in one” shop philosophy that means doing it right the first time – on spec and on budget. We keep our focus on efficiency and quality, and use more than 19 CMM machines to help our skilled engineers achieve this. In addition to the automated machine process, we make many adjustments to propellers by hand, ensuring the perfect prop is the only one leaving the shop. We employ nearly 300 experts to make our cutting-edge propellers using these advanced manufacturing techniques. We’ve found that this pairing of machine accuracy and human skill and ingenuity is the best way to make the robust, powerful propellers our customers have come to rely on. That’s why we make investments in both our employees and automation services in our shop.